Online ordering menu for Due Fratelli Pizza. 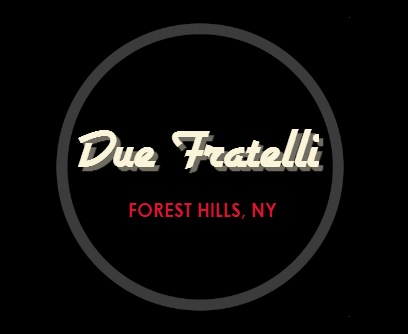 Due Fratelli Pizza is a great place for delicious pizza, sandwiches, pasta, steak, and more! Our menu also features panini, gyros, and stromboli. We're west of Meadow Lake on Queens Blvd. We're near Yellowstone Park and Russell Sage Playground Park. Order online for carryout or delivery!